Lucy Worsley had a time slot of about 12 minutes to photograph in a few different ways (and this 12 minutes included “Hello lovely to meet you”, walking and talking and “Goodbye, lovely to meet you”. This is quite usual for editorial photography as is finding that half of the places you thought you could use as a backdrop were locked, covered in scaffolding or no longer available! 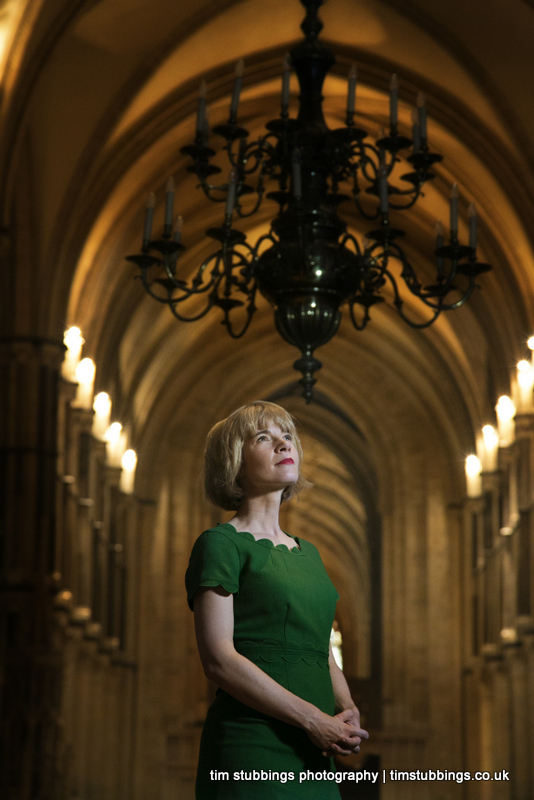 In addition to speaking at the Canterbury Festival, Lucy was promoting her new book, details here:http://www.lucyworsley.com/. Michael Gove – you need to clone this woman and put her into every state school. OK?